Completed today. 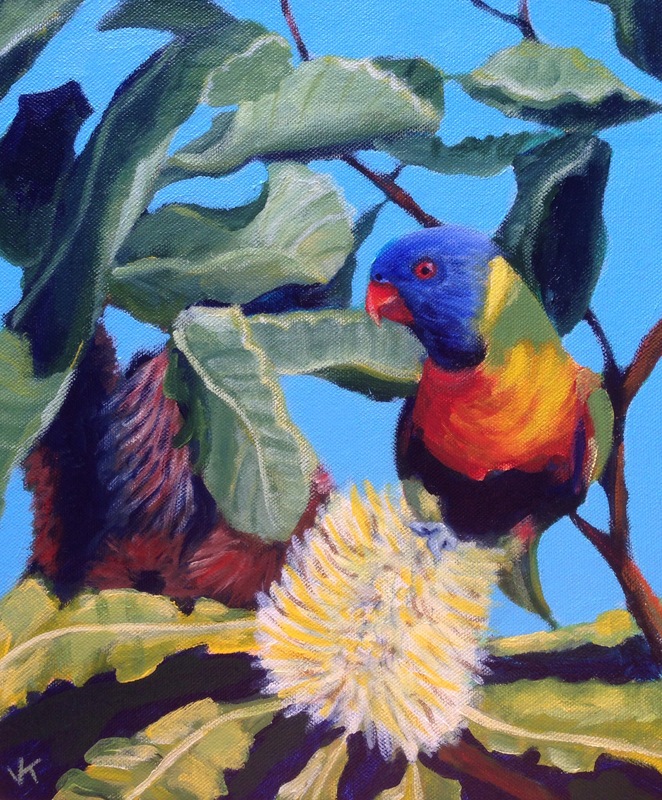 Rainbow Lorikeet and banksia. Acrylic on canvas.